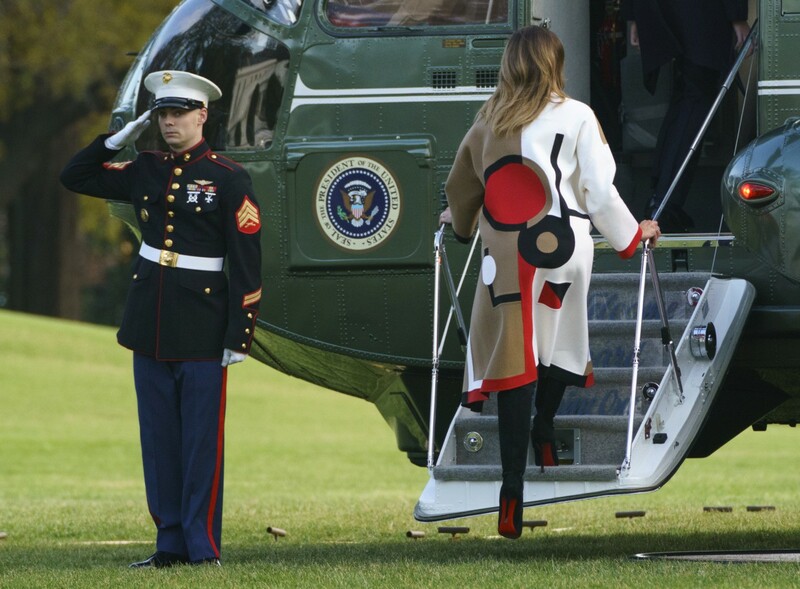 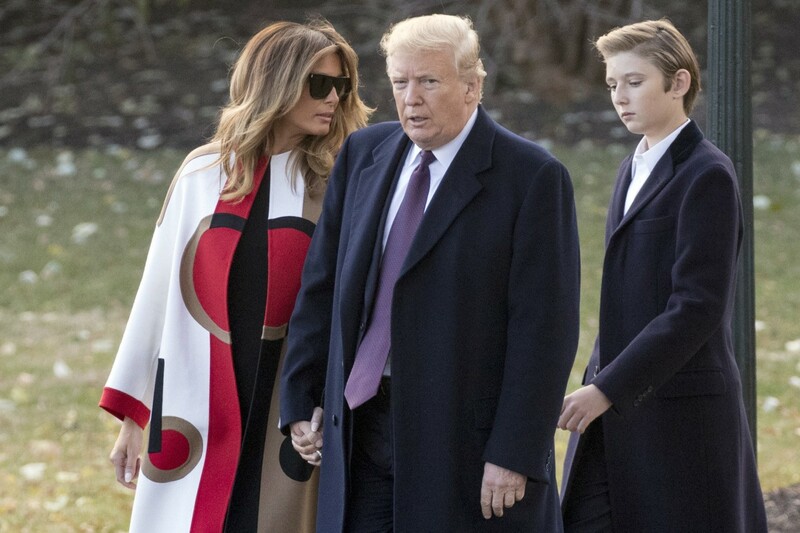 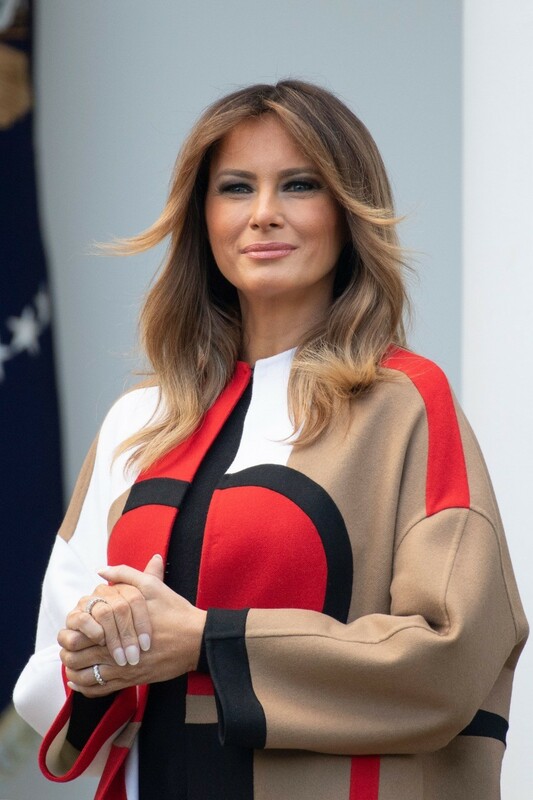 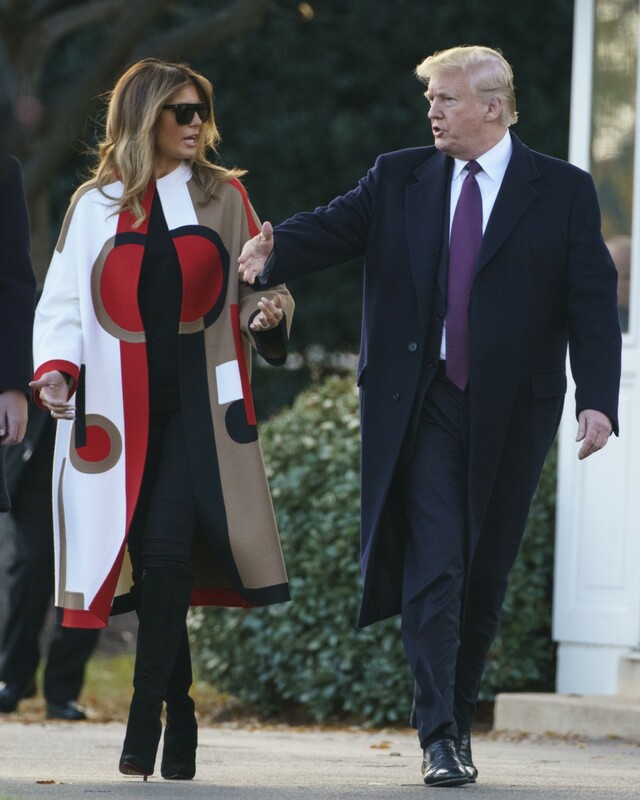 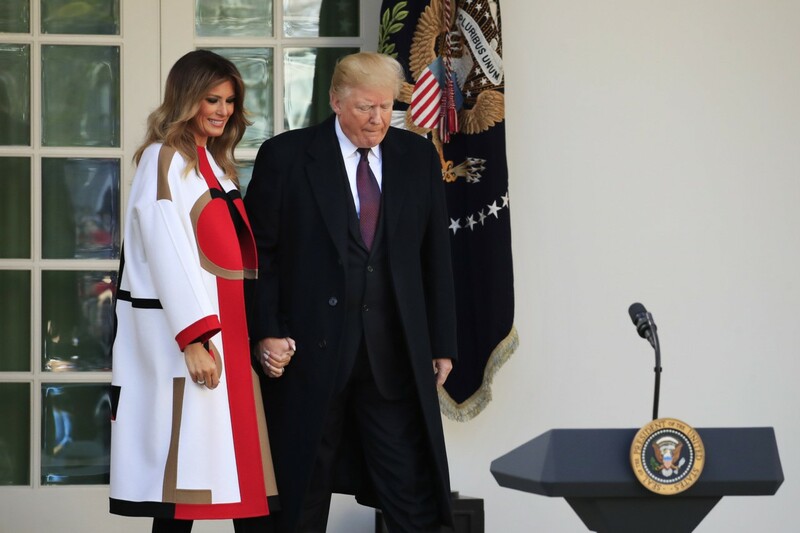 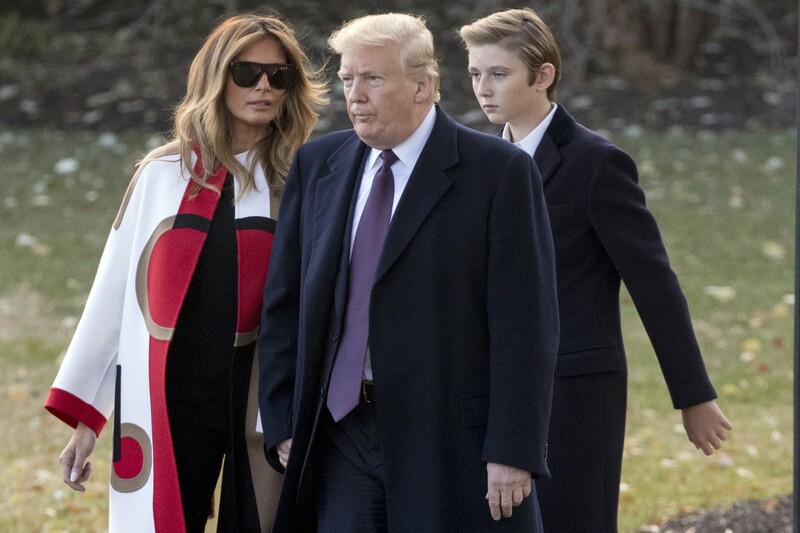 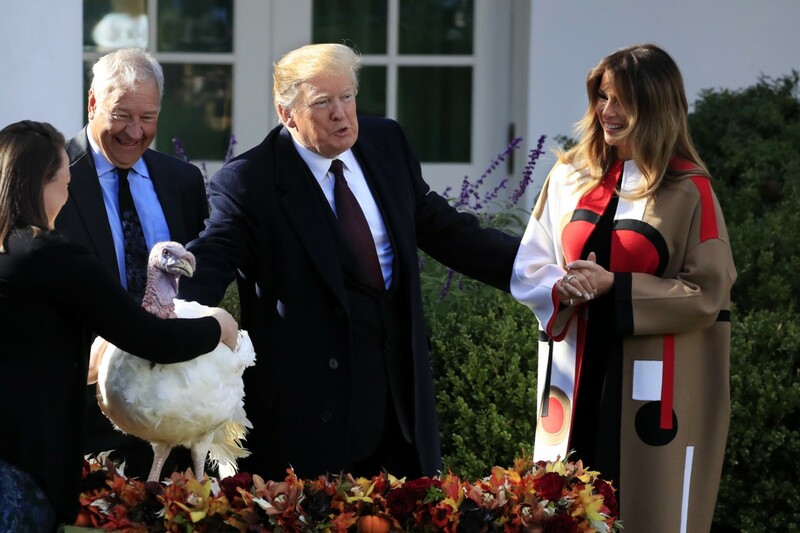 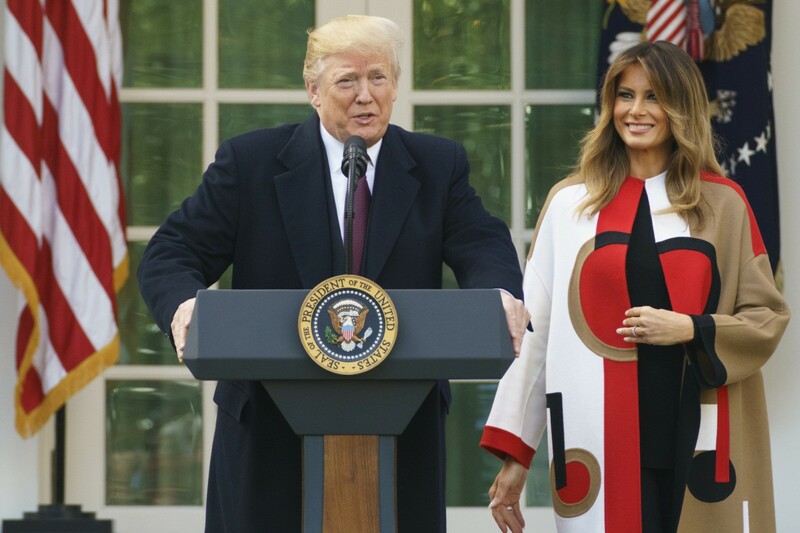 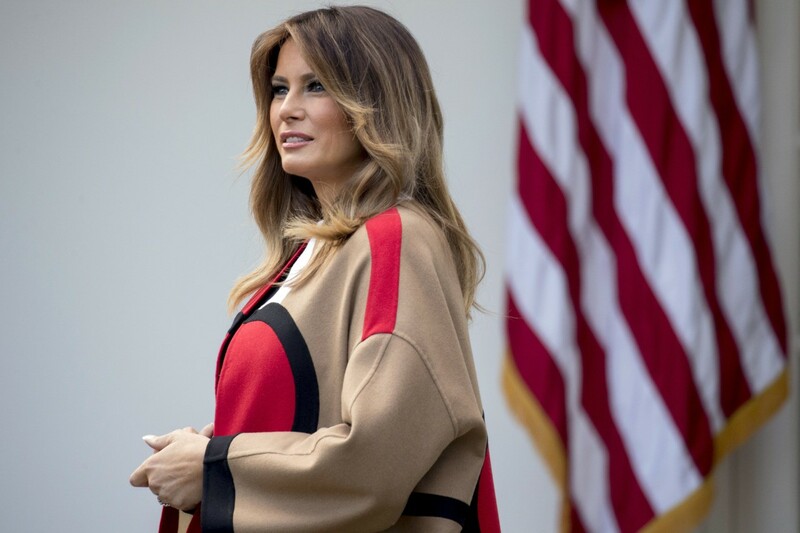 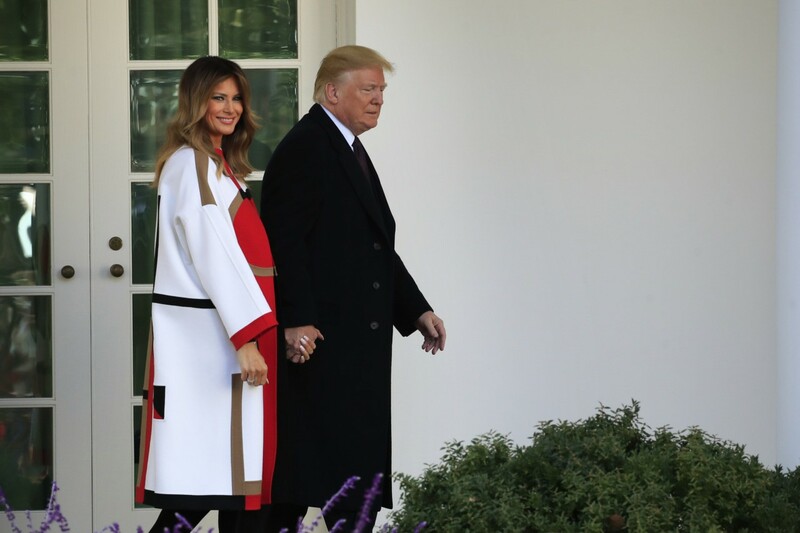 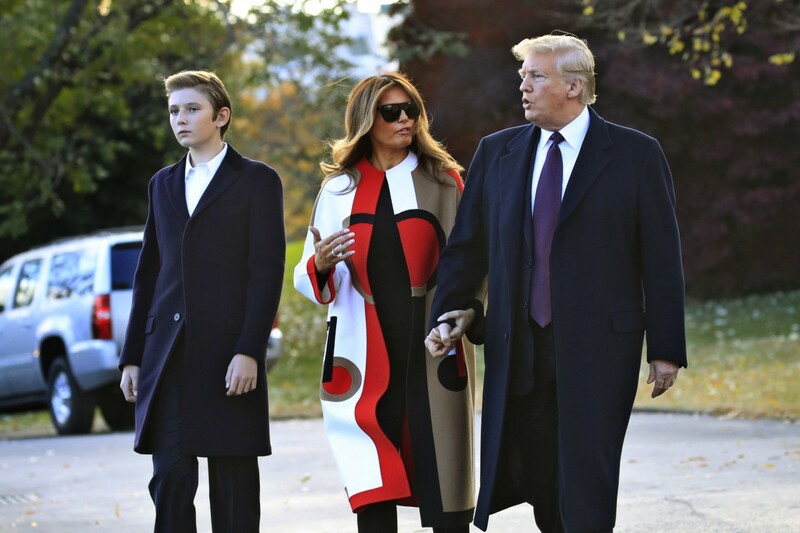 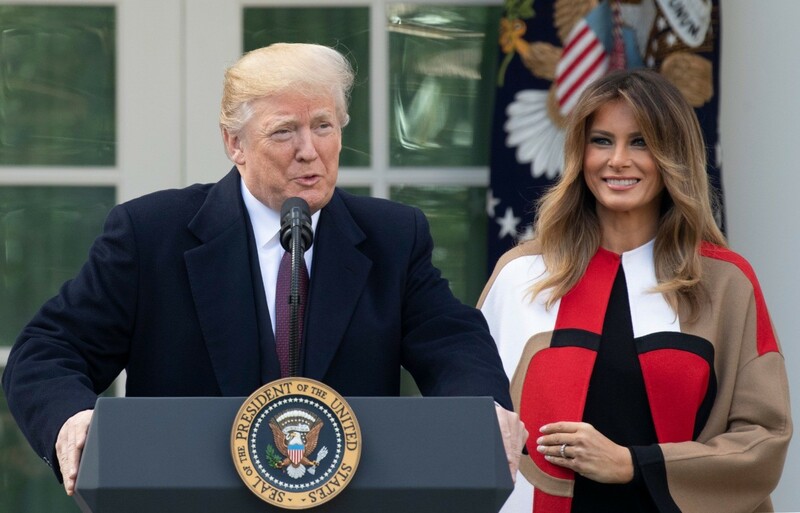 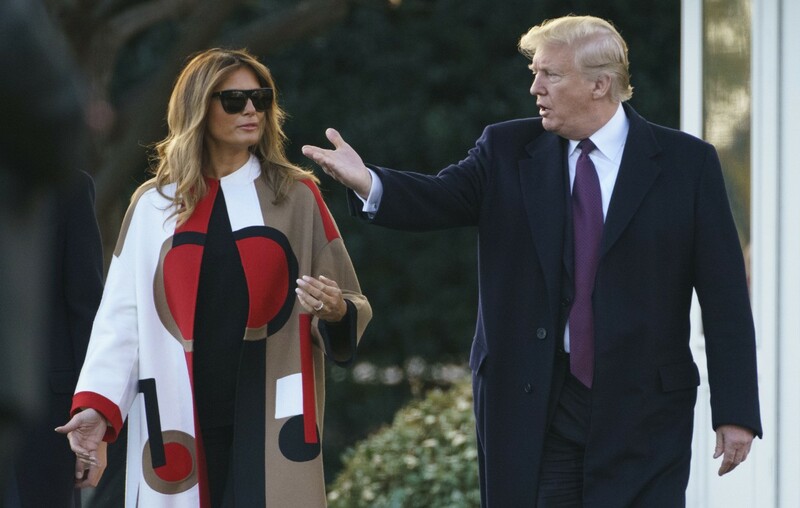 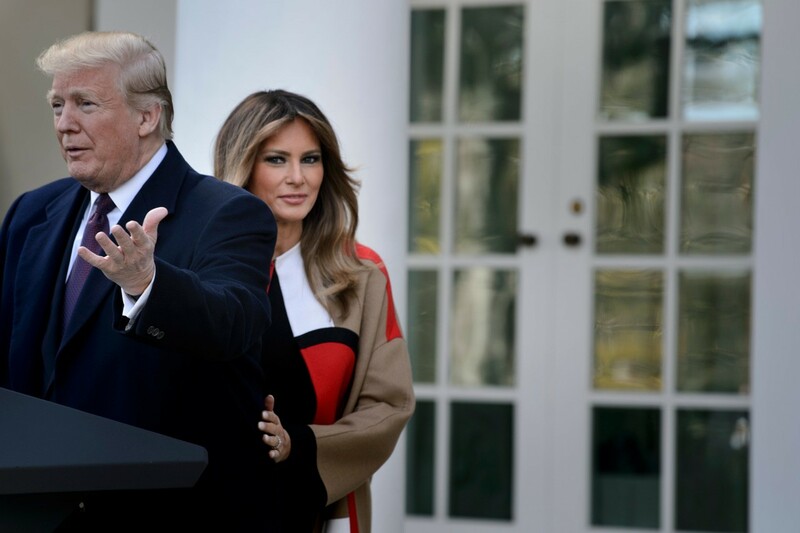 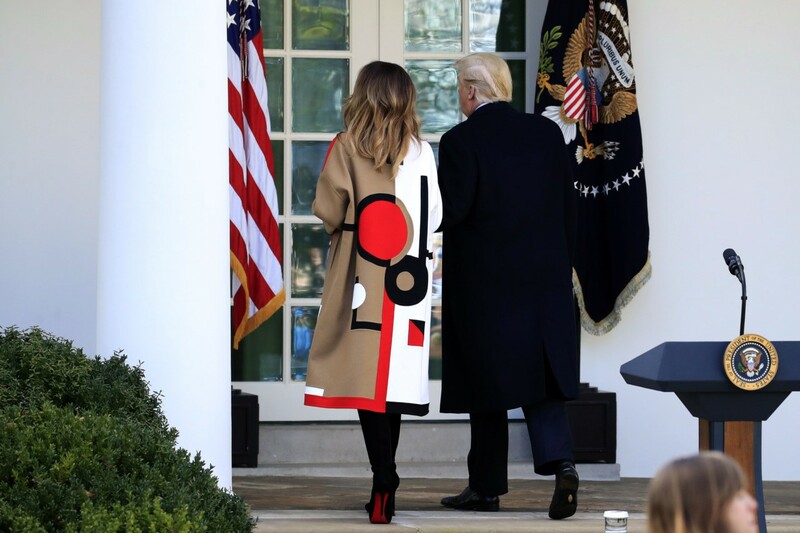 For the annual pardoning of the turkey at the White House ahead of Thanksgiving, Mrs. Turmp opted for a striking red, white, black, and camel Dior coat from the brand’s Pre-Fall 2018 collection. 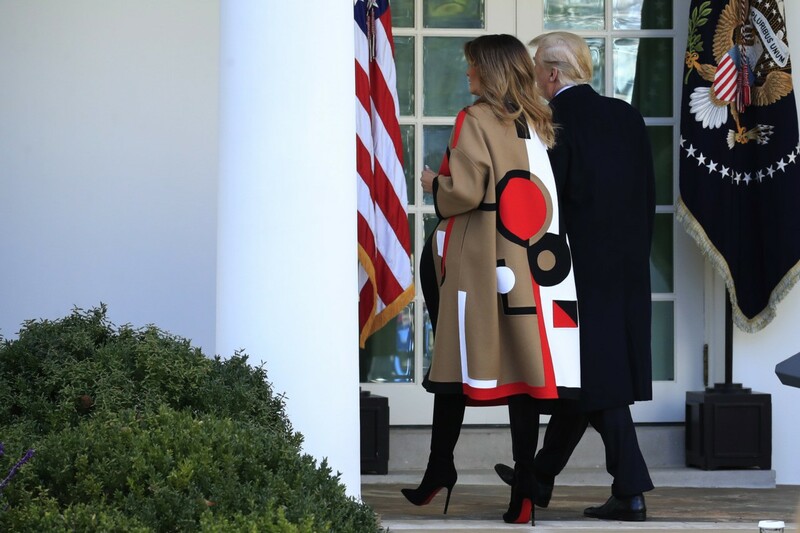 The coat stood out amongst the crowd of mostly men’s suits with its vivid colors and geometric, abstract pattern. 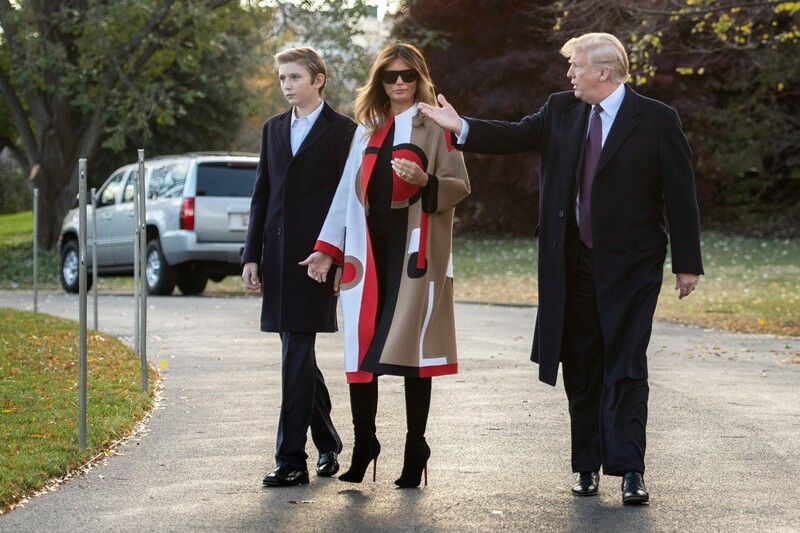 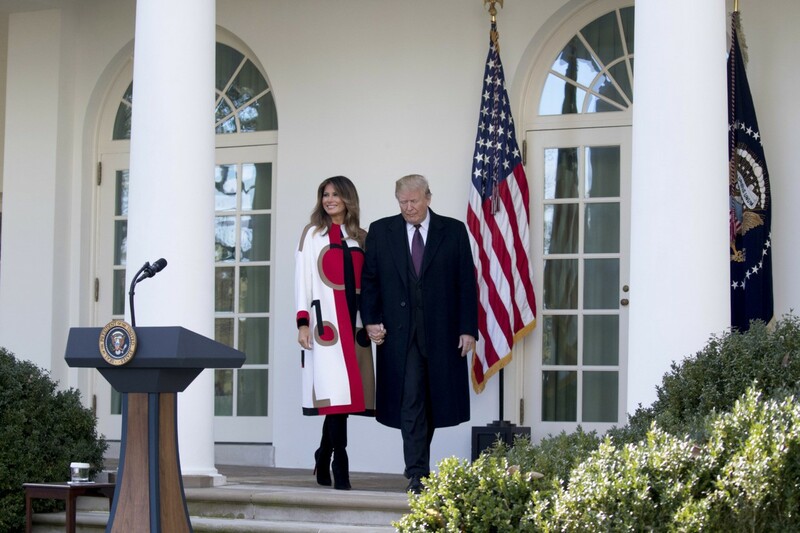 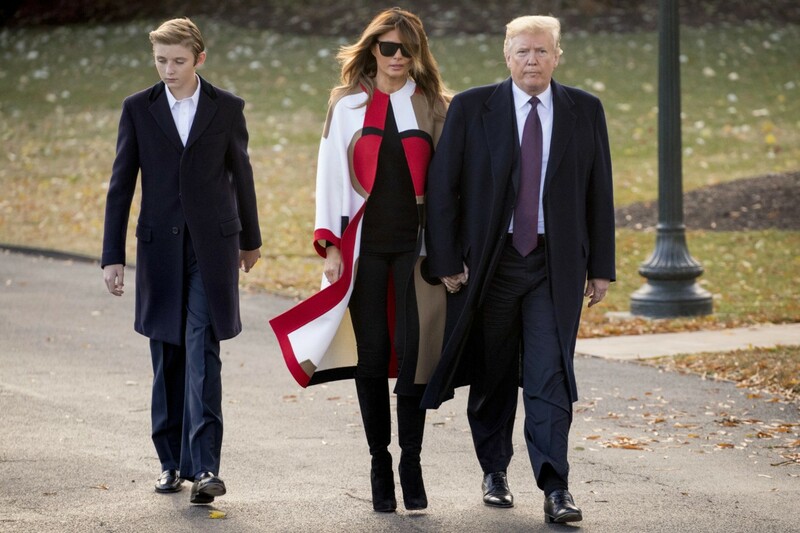 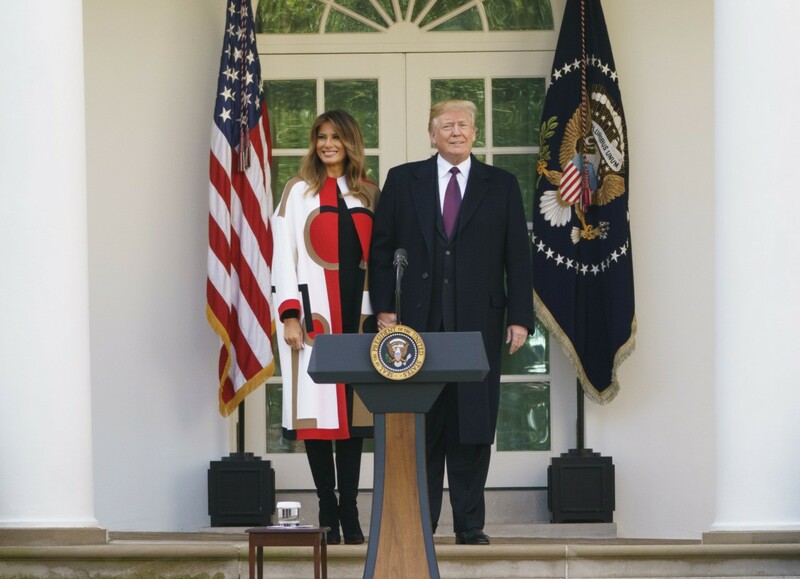 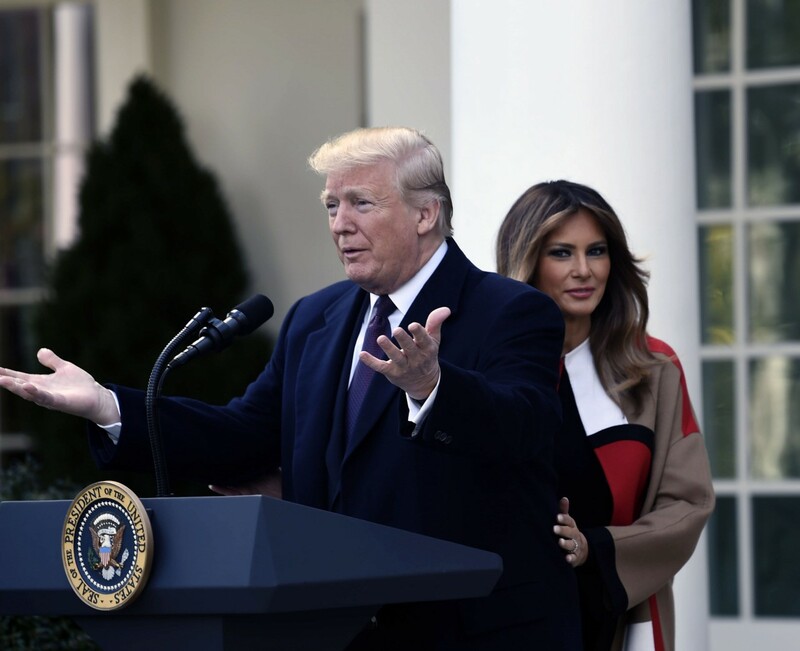 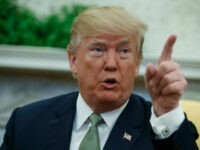 Like the evening before, Melania Trump let the coat do all the talking and kept the rest of the ensemble to a minimal black sweater, black skinny pants, and Christian Louboutin stiletto boots. 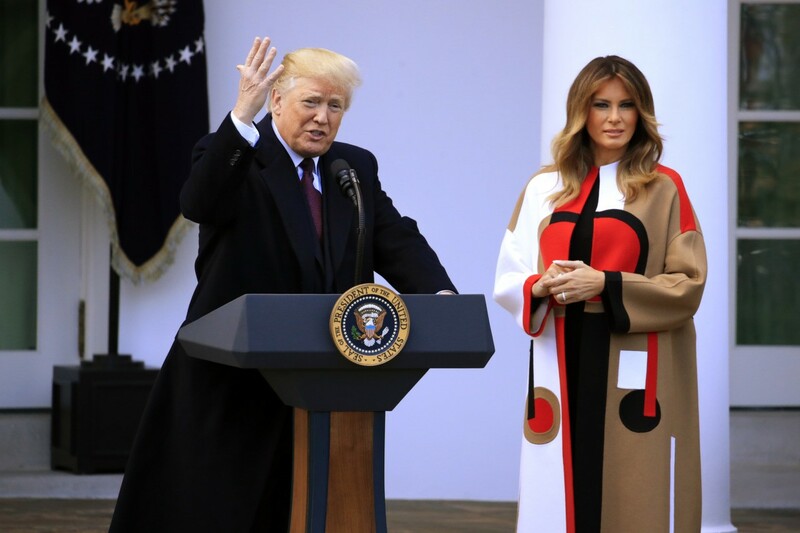 Mrs. Trump most recently wore a grey dress from this Dior collection while in Paris, France, for the commemoration of the end of World War I.